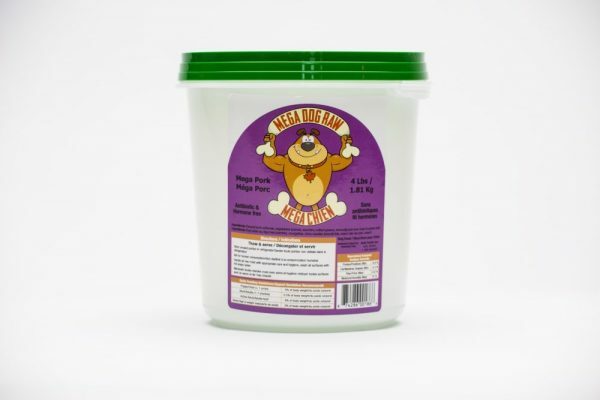 Mega Pork is available in 4 lb tubs, making it easy to scoop-and-serve at meals and resealable to prevent leaks in the fridge. Thaw and serve this healthy meal to your dog! All Mega Dog products are sourced from Canadian inspected suppliers, and all meats are raised without the use of hormones or antibiotics.